Posted on October 11, 2018 at 5:57 am. Wolf Pack Pride continues with the WMS tennis team — for another magnificent match against Swanson on Tuesday. It was a true team effort. Way to go, tennis wolves!! [clap]. Next up, the County Doubles Tournament is scheduled for TODAY. Participants are reminded to meet by the bus loop NO LATER THAN 11:20 this morning for the ride over. But STAY TUNED — because rain is in the forecast. So cross your fingers, and Good luck, tennis team!! And now for an important announcement for all 6th graders on the Exploratory Wheel — TODAY you will be rotating to your NEW exploratory class. Staff members will be stationed throughout the halls this afternoon to help you find your way — but please do your best to be ON TIME. Again, the new Wheel classes begin TODAY. Calling all MUNners! The WMS Model UN Club will be meeting TODAY during ASP 1 in room 202. Participants will be preparing for the upcoming HAMUN conference — so you WON’T want to miss it. See Ms. Carlson with any questions. Listen up, WOLFBOTS! There will be a MANDATORY work session TODAY during ASP 1 in the Robotics Room. All of the teams should plan to attend — both LEGO and VEX. See Mr. Dudek with any questions. Robots RULE!! Curious about the world, its places, and peoples? Then join Club Geo — a new after school activity here at WMS. The first meeting will be TODAY during ASP 1 in room WW___. See Mr. Miller with any questions. Pay close attention — because TODAY during all grade-level lunches, there will be a Trivia Contest focusing on all of our featured Champions from the past week. Ready? Here we go! 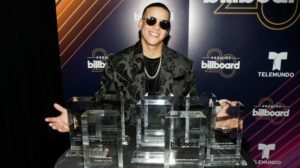 Meet Daddy Yankee — a grammy-winner singer and songwriter from Puerto Rico. 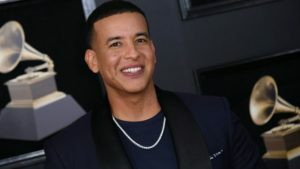 Daddy Yankee is considered a PIONEER in the music industry — he developed a unique music genre called “reggaeton” in the 1990s, that combines hip-hop with Latin American and Caribbean beats. Both CNN and Time Magazine have recognized him as one of the most influential Hispanic artists in the world. Daddy Yankee has toured with super stars like The Rolling Stones, Miley Cyrus, and Beyonce. 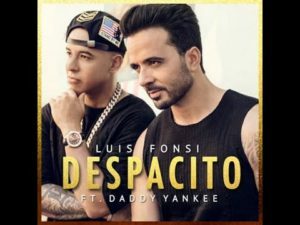 And last year he BROKE RECORDS with his chart-topping single: Despacito, with Luis Fonsi. His efforts truly make him a CHAMPION OF CHANGE!